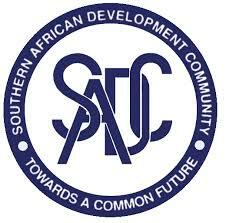 The Southern African Development Community (SADC) ministers responsible for health are due to meet this week in Namibia to review public health issues aimed at contributing to the attainment of improved quality of life of the people in the region, APA learned here Monday. In a statement, the regional bloc said the ministers are expected to provide a collective oversight on the implementation of the regional health agenda as guided by the SADC Protocol on Health, the Regional Indicative Strategic Development Plan and the SADC Health Policy. The meeting, scheduled for Thursday in the Namibian capital Windhoek, is also expected to discuss emerging and re-emerging Zoonotic diseases, especially the outbreak of Ebola in May 2018 in Equator Province in northwestern Democratic Republic of Congo. It will also receive an update on the implementation of HIV and AIDS interventions as well as the report on the implementation of the SADC HIV and AIDS Cross Border Initiative. The initiative is meant to protect communities in border towns, including long distance truck drivers, in SADC member states against the dangers of contracting HIV and AIDS.